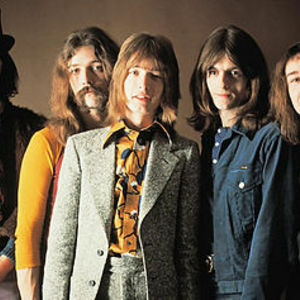 Savoy Brown is a British blues band formed in the 1960s, originally known as the Saveloy Brown Blues Band. Their 1969 single, Train to Nowhere (with singer Chris Youlden), was viewed by many as the last gasp of the blues scene in Great Britain. Although Savoy Brown never reached much acclaim in their home nation, they developed a loyal core following in the United States. In the 1960s and 1970s, the band managed to penetrate the Billboard Hot 100. Superstardom perpetually evaded them, perhaps in part because of their frequent lineup changes. Indeed, while the band is still active today, only one founding member, Kim Simmonds, has been with the band since the beginning. Guitarist "Lonesome" Dave Peverett, bassist Tony Stevens, and drummer Roger Earl went on to form Foghat. Original member and harmonica player John O'Leary is still active on the British blues circuit with The John O'Leary Band. Savoy Brown's first album, Shake Down, featured lead vocalist Bryce Portius. Portius was one of the first black blues musicians to be a part of a British rock band. Another singer, Dave Walker, would later join Fleetwood Mac and Black Sabbath.